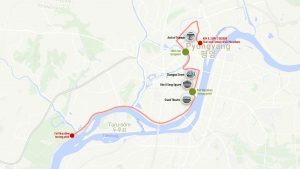 We are very pleased to be able to announce an exciting update to the race route around Pyongyang city on 9 April 2017. The marathon’s organising committee has confirmed that the route next year has changed significantly from the previous 10km loop around the city centre. For 2017’s race, the race is now a return course — rather than a loop — with the route being run through the city centre. Runners will go past many of the iconic buildings, monuments, and streets of Pyongyang, before heading out into the countryside, just outside the urban centre, before running back again. This new route — which is IAAF certified — gives runners the chance to see more of the capital than in previous years, and also allows more interaction with people along the course, as it takes in more parts of the city than ever before. Other exciting news about the course is that all three amateur races — the 10km, half marathon, and full marathon — will start and finish inside Kim Il Sung Stadium (including a final lap of the stadium track). This means that everyone participating will get the chance to finish in front of a 50,000-strong capacity crowd of local Koreans who’ll be in attendance at the stadium. 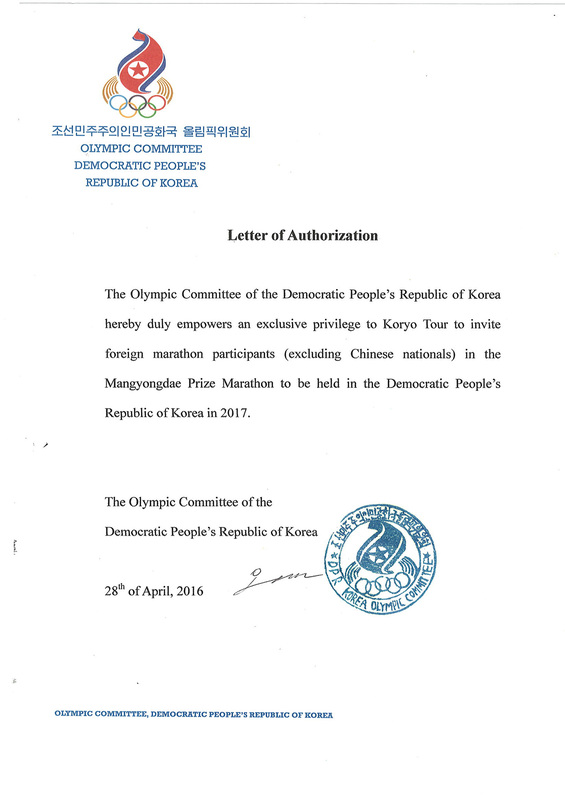 This latest update from the Pyongyang Marathon Committee also reaffirms that they’ve granted Koryo Tours the exclusive rights to enter foreign amateur runners into the 2017 edition of the Mangyongdae Prize Pyongyang Marathon. If you’re interested in taking part in this unique event then we encourage you to sign up soon. Some of our marathon tours are already full, and once the flights and trains to/from Pyongyang during that period hit capacity, then it won’t be possible to add anyone else to the race. We look forward to seeing everyone on the starting line in Pyongyang – it’s more than just a race!